This comprehensive self-study exam prep guide is based on the 2014 edition of the National Electrical Code® and contains twelve (12), twenty-five question practice tests and two (2), 100 question f’mal exams, with types of questions you will encounter on actual licensing exams. 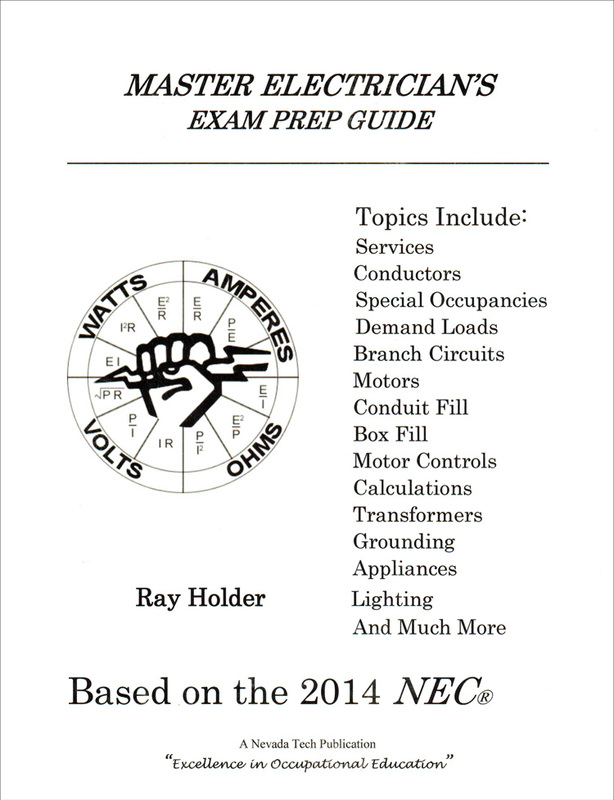 This book is the best self-study guide available for master electrician’s exam preparation. Answer keys with NEC® references included. This type of study is designed to help you identify your strength and weakness and reinforce your weak areas. 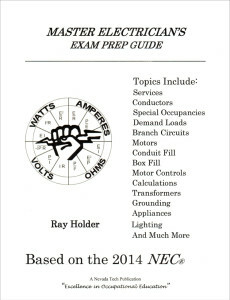 This textbook covers all topics that are included in most Master Electrician’s Licensing exams. Even with limited study time this kind of selective study yields maximum test results. The text will familiarize you with the exam and enable practice in answering questions involving judgment, evaluation and reasoning.